Do you think it’s possible that we all live inside a giant brain? According to a study published in Nature’s Scientific Reports, the universe may be growing in the same way as a giant brain – with the electrical firing between brain cells ‘mirrored’ by the shape of expanding galaxies. 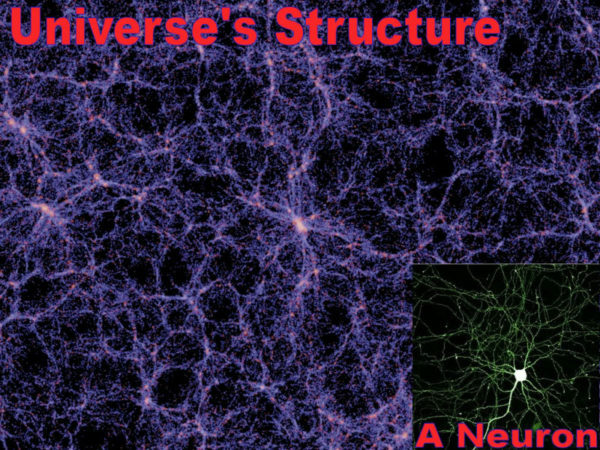 The results of a computer simulation suggest that “natural growth dynamics” – the way that systems evolve – are the same for different kinds of networks – whether its the internet, the human brain or the universe as a whole. In other words, everything seems to be governed by the same laws and principals. It’s no wonder images from celestial events look frighteningly similar to images of human body parts. As above so below, as inside so outside. The implication of this theory is nothing less than majestic. 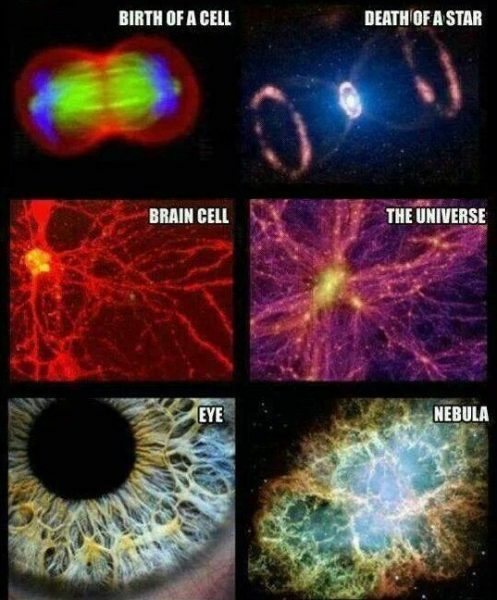 We are, literally, The Universe on a smaller scale. We are GODS of our Inner Worlds and disciples of the Outer World. The shape of one thought inside our heads mirrors the structure of galaxies above us. Everything around us is a part of some ONENESS, some larger being, just like your thoughts are a part of you.